You’ve heard me discussing the aspects of leverage and how to maximize it on the down swing with Fluffy a.ka. TFerguson, and let me show you in my own swing how I do it. First, you have the stable head on the back pivot, enabled by the MCS Golf Swing’s right-biased “Leaning ‘A'” tilt and proper hip action. Then, you will see how I get the transition going by transferring to the leading foot, and the “deep” reference of course is to the pressure you want to apply to that foot, as if trying to leave an impression in the ground (the real “using the ground,” by the way). 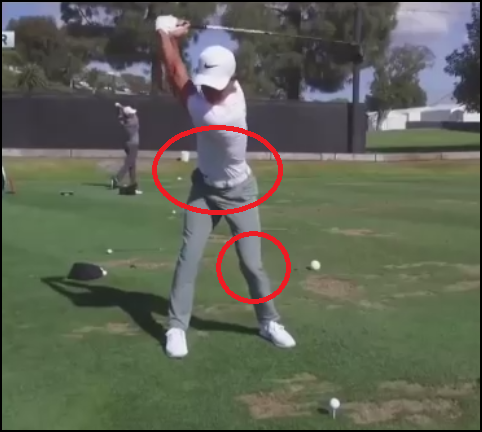 … all of which produce that effortless leverage driven by the action of the lower body combined with not trying to “turn” into the down swing with the upper body. Are you doing your pivot drills to get the stable head and lower body action to produce the shoulder turn? 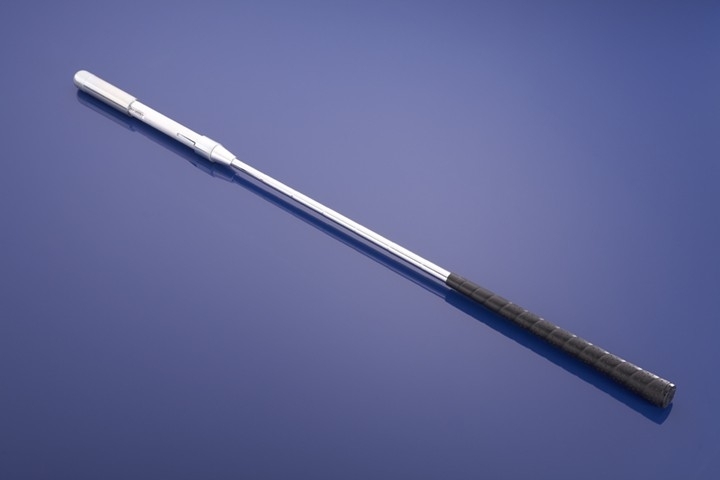 Are you working on the “One Major Move,” either with a club or a swinging stick? Are you working on getting as tight as possible by working with your Kettle Bell/Dumb-bell on your “One Exercise” drill? If the answers to the above are “No,” then it’s not a matter of not getting it – it’s that you aren’t practicing and ingraining the proper motion and action. Even as I’m the person who developed this swing model, it has taken a good deal of practice to get rid of bad habits and impulses and to produce the results I want out of my swing. If you can swing a golf club, you can do exactly what I’m doing above, more or less, and if you’re not working on it and you’re expecting it to just “click” for you – I can tell you that it likely isn’t. 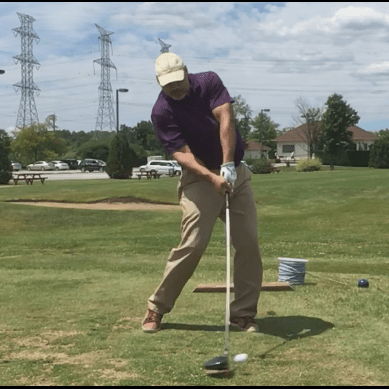 The keys to building that motion so that you can perform it naturally – practice, and focusing on the parts with which you struggle, then hitting some balls and then taking what you have to the golf course. Anything less is making it much harder for you, and it will take longer to get it right, if ever! This entry was posted in Address Procedure, Drop & Pop, Floating Pivot, Leverage, MCS Golf Swing, One Exercise, One Major Move and tagged Address Procedure, DJ Watts, Drop & Pop, Floating Pivot, Leverage, MCS Golf Swing, One Exercise, One Major Move, WAX Golf on October 27, 2018 by D Watts. I played in a tourney yesterday, having not swung a club for over 2 months. My only preparation was watching the Kinetic Chain video’s. These video’s are the very best produced by DJ, in my opinion. The “hitch-hiker” right arm and the left hip move are singularly exceptional. Both became my primary swing thoughts in the tourney, and I hit the ball very well (missed one makeable putt for a 79 – settled for 80). Claude Harmon was the guest presenter at the event. He “advised” golfers on a par 3, which he said played 165yds. I hit my iron with perfection, and flew the green. Either Harmon gave us bad yardage, or I’m hitting the ball 15 yards further than ever (maybe a combination of the two). That hack, Harmon, may have cost me a round in the 70’s! At any rate, thanks, DJ, the new video’s are awesome! Hey now, Uncle JJ! Great Stuff! Didn’t I tell you so?!? I was about to explain our email convo last week in this comment but you’ve proven my last posting emphatically enough that I’ll just write a new posting on it.